Jiangning Store commenced trial operation on 3 July 2015. The store is located above the underground railway station and at the core business area of Nanjing Jiangning downtown with a GFA of approximately 144,710 square meters. Positioned as a place for leisure family gatherings, the lifestyle center is equipped with a “shopping park”, integrated family entertainment park, a premium supermarket G-Mart, specialty food and drink stores. 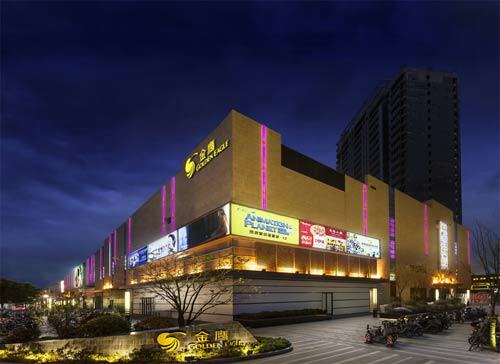 With mutual supports from a large commercial complex spanning across 250,000 square meters equipped with a luxurious hotel and high-grade apartments, the lifestyle center became a families’ preferred place for shopping and leisure in Jiangning area, and the new shopping experience it brings forth to local customers attracted a lot of foot traffic. As at 31 December 2018, the GSP reached over RMB561 million in the full year.